We gather the most precious oil essences from each continent to merge them into one single nutrition treatment. The perfect ritual for silky and shiny hair. 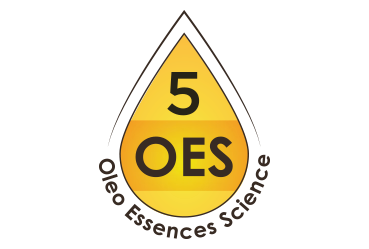 KINESSENCES OES is a treatment to provide nutrition and hydration for all types of hair. It acts on the deeper layers of the hair fibre to allow the natural oil-essences to release their valuable health and beauty benefits inside the cuticle. The conditioning effect is noticeable both visually and to the touch from the very first application. A unique treatment system for all hair types, free of sulphates, parabens and silicones and that delicately cares for the hair fibre and provides extraordinary health and beauty benefits. Nutrition, hydration, shine and anti-frizz effect. Deep transformation. The hair is perfectly hydrated, nourished and with a sublime shine. 1. Relax (5 min. ): Perform a relaxing massage on hands and forearms with Hand Cream. 2. Wash (5 min. ): Wash hair with Shampoo and rinse. Perform two repetitions. 3. Treat (10 min. ): In ratio 1/10 mix Oil with Mask. Distribute the mixture evenly with the aid of a comb. Wrap your hair with a hot towel as a sauna-spa. Option 1 - Thick and / or curly hair: apply a few drops of Oil to media and tips. Option 2 - Normal or dry hair: Apply a small amount of Oil Cream on wet hair and spread evenly with the aid of a comb. Immediate hair transformation in just 15 minutes. Hydration, nutrition and shine. 1. Wash (5 min. ): Wash hair with Shampoo and rinse. 2. Treat (5 min. ): Apply Mask on damp hair and distribute it evenly with the aid of a comb. Rinse with plenty of water. Moisture and shine to all hair types. Moisturize and nourish treatment for all hair types. Ultra-concentrated beauty elixir for hair. Cream beauty elixir for the hair. Hand treatment with a repairing effect on hands and cuticules.